Do you ever go into the kitchen and forget why you went in there or how often do you forget the name of someone you have known for years? 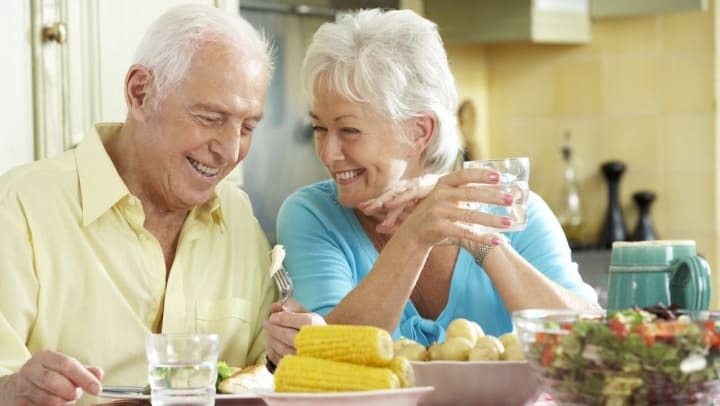 If you are like most people, you read about the importance of brain health no matter the age, but as you get older, getting the proper nutrients for your brain will, in turn, help your overall health. 1.) Fish - Fish is probably the top food for brain health, specifically varieties rich in Omega 3 fatty acids. Fish is full of antioxidants and nutrients which help slow mental degeneration, stabilize mood, support a healthy nervous system, and control blood sugar levels. The types of fish that seem to be the best for brain health are salmon (wild not farmed), sardines, mackerel, and trout. 2.) Blueberries - Do you remember the little girl in the movie, Willie Wonka and the Chocolate Factory, who ate all the blueberry candy and turned blue? Well, her short-term memory should have been in good shape thanks to that perfect little blue fruit. Blueberries are loaded with vitamin C, manganese, vitamin K, and fiber, which have been shown to minimize brain damage in forms of preventing strokes, reducing the risk of inflammation, help lowering cholesterol, and maintaining a healthy blood pressure. 3.) Pumpkin Seeds - Also called pepitas, pumpkin seeds just might be the most nutritious seed you can eat. In fact, they are often referred to as “brain food.” Pumpkin seeds are full of Omega 3s and 6s, as well as zinc, which is all vital for proper brain function. They are said to enhance memory function and improve mental health. You can eat them on their own, toss them in a salad, or mix them into nut mixes. While they are best eaten raw, we suggest you get the unsalted version and add some spices and seasonings on your own. 4.) Dark Chocolate - Yes – chocolate – but not the milk chocolate in a Hershey’s Kiss or the chocolate that covers the peanut butter in a Reese’s Cup. Dark chocolate that is at least 70 percent pure cacao is the best because it is full of antioxidants (flavanols) that stimulate the brain, boost cognitive abilities, and improve blood pressure. Even if you have the healthiest of diets and eat all of these foods on a regular basis, you may still need supplements to ensure you get the right number of vitamins and nutrients necessary to help maintain good brain health. The best vitamins and nutrients are Vitamin D, B Vitamins, Omega 3s, Zinc and several others. Discovery Village Senior Living promotes a healthy and carefree lifestyle through our Dimensions Wellness program and Sensations Dining experience. Our Dimensions Wellness program provides regular check-ups for our residents as well as daily workouts. The Sensations Dining lifestyle ensures our residents get the freshest and healthiest home cooked meals, tailored to their tastes and preferences. Learn about these and the other carefree lifestyles we offer here at Discovery Village.